Last week we took a look at just a couple of the benefits of hemp – Hemp for fuel and Hemp for paper. In this article we will delve into more uses for this wonderful plant – Hemp for Textiles and Hemp for Building Materials. Now I know you’re thinking: “Just how can this one plant have any more uses? !” – Well it does, and a multitude more at that. These articles are really just scratching the surface on what hemp can be used for. Jack Herer stated that “From more than 1,000 years before the time of Christ until 1883 AD, cannabis hemp–indeed, marijuana–was our planet’s largest agricultural crop and most important industry, involving thousands of products and enterprises; producing the overall majority of Earth’s fibre, fabric, lighting oil, paper, incense, and medicines. In addition, it was a primary source of essential food, oil, and protein for humans and animals.” Hemp is a very important part of our history, and for good reasons. What variety of cannabis is grown for hemp can also be an important factor. The tall thin Sativa varieties are most suitable for industrial hemp. Sativa will produce more hemp fibres than Indica or Ruderalis. 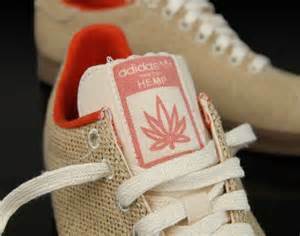 The UKCIA states that “Hemp (Cannabis Sativa) could be an important crop enabling the production of environmentally-friendly, locally produced, high-quality textiles.” Hemp textiles were once part of a booming industry which saw our ancestors using hemp for textiles, paper, rope and oil. This history dates back a long time, with hemp being a big part of British culture. In fact, according to The Emperor Wears No Clothes, “The earliest known woven fabric was apparently of hemp, which began to be worked in the eighth millennium (8,000-7,000 BC).” Just to put things in perspective, at between 8,000 and 7,000BC, the world population was stable at five million and pottery was beginning to become widespread. This means that hemp has been a part of human culture for a very, very long time. Henry VIII, one of the most famous British monarchs, gives testament to just how important hemp was half a millennium ago. World Mysteries states that: “Hemp was so important in England in the 16th century that King Henry VIII passed a law in 1553 which fined farmers who failed to grow at least one quarter acre of hemp for every 60 acres of arable land they owned.” The UKCIA elaborates on hemp’s use in Britain around that time, stating that hemp was mainly used for ropes, sailcloth and sacking, no doubt due to its great durability. This also made it great for working clothes, meaning a high number of our ancestors throughout this period were wearing hemp clothing. There are many advantages when considering hemp for the textile industry. Hemp, like linen, contains “bast fibres” in its stem. The machines used to process these bast fibres happen to be very similar, meaning, in theory they could be used to process hemp (although the long hemp stalks may need to be broken in half beforehand). There are many uses for hemp within the modern textiles industry. The long “bast fibres” are used for twine, geotextiles and paper. The Shorter “tow fibres” can also be used for paper, and the wood-like core/hurds are also high in cellulose, and can be used for things like animal bedding. (UKCIA) Hemp is also used to make non-allergenic items like horse bedding and carpet backing, providing safe alternatives to synthetic and potentially allergenic products. The hemp plant does not require pesticides, due to it being highly resistant to insects. It also doesn’t require herbicides or fertilisers, growing extremely well under organic conditions. There are studies from the late 60s that found that organically grown hemp has the highest yields and improved fibre fitness – it would certainly be more economically viable, to say the least. An interesting fact from the UKCIA article worth highlighting was that hemp grows so fast that it smothers weeds. Another advantage of hemp over cotton is that it doesn’t deplete the soil that it is grown on of nutrients. This makes it much more cost-effective to produce as well as eliminating lots of nasty underground pollution caused by pesticides. viridisluxe.com states that “If hemp replaced cotton globally, the increased fibre yield would free up an area of farmland the size of Florida. The reduction in toxic pesticides would be 94,080 tons.” So from this we can gather that the more hemp and the less cotton we farm, the better it is for our environment. I read on Hempcar.org that “Hemp is softer, warmer, more water absorbent, has three times the tensile strength, and is many times more durable than cotton.” In fact, hemp is the most durable natural fibre. As well as being UV resistant, it is four times as durable than cotton, meaning that hemp garments will last four times as long as similar cotton garments. 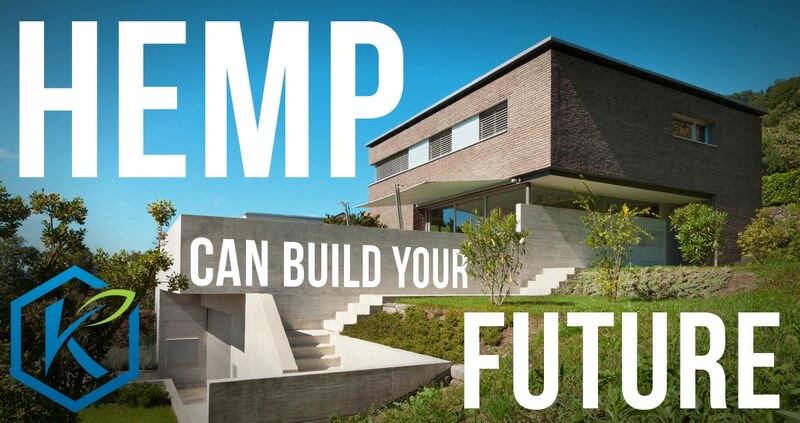 Of course at the present time building your home out of hemp is going to cost a bit more than building it out of traditional materials. 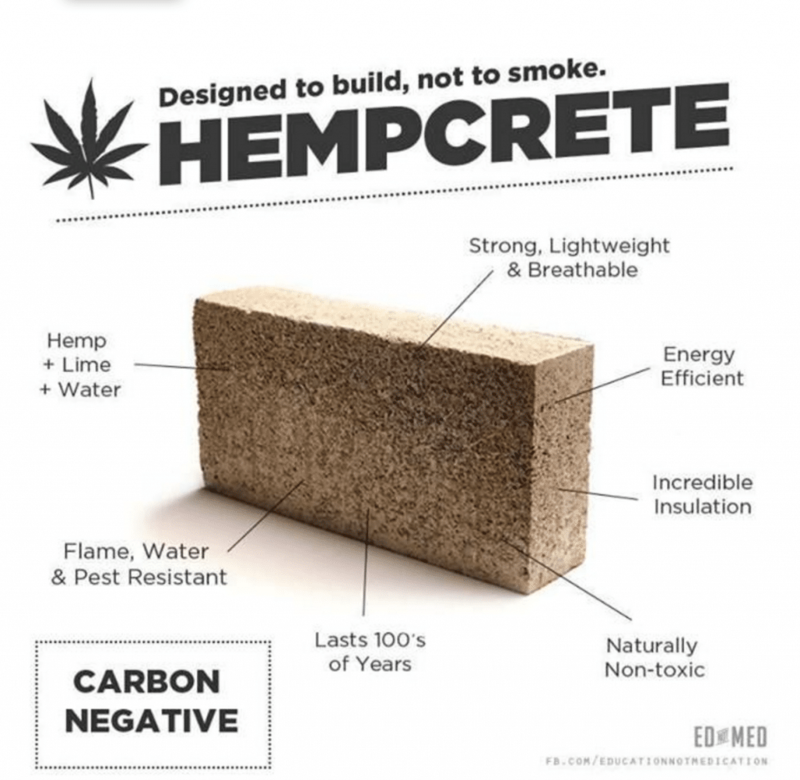 But from the facts above it is clear that hemp products are a viable source of building materials, without damaging the environment. So there you have it – Hemp is great for textiles, and great for building materials. There are so many things that this wonderful plant can be used for, and is indeed in some cases the best candidate for, and I just hope we can spread the message so that as many people as possible realise the benefits of hemp.